Angela Ribeiro received her BS and PhD degrees in Physics from the Complutense University of Madrid, Spain, in 1984 and 1989 respectively. In 1989, she was a postdoctoral visitor at the School of Computer Science in Carnegie Mellon University being involved in the PRODIGY project, devoted to the design and the development of a general architecture for planning and learning. In 1990, she joined the Spanish National Research Council (CSIC) as a scientist. 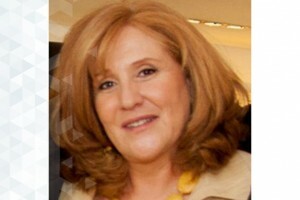 From 2007 to 2010, she served as the director of the System Department at the Institute of Industrial Automation (CSIC). In 2010 she joined the Center for Automation and Robotics, a joint venture of CSIC and UPM, as the coordinator of the Artificial Perception Unit. Since 2007 is the leader of the Artificial Perception Group. Her research interests include artificial perception, pattern recognition, evolutionary algorithms, spatial knowledge representation, spatial reasoning for decision support systems, distributed systems, collective intelligence, and collective robotics. She has authored over a hundred publications in journals and proceedings, and several book chapters. She has taught diverse PhD courses in several universities. She has led several research projects related to the implementation of the previous techniques to Precision Farming. Among others, she has been the Scientific and Technical Manager of the European project RHEA (Robot Fleets for Highly Effective Agriculture and Forestry Management - http://www.rhea- project.eu). A low-cost approach to automatically obtain accurate 3D models of woody crops. Three-dimensional modeling of weed plants using low-cost photogrammetry. A geometrical model to predict the spatial expansion of Sorghum halepense in maize fields. Gesunde Pflanzen. Vol.69. Number. 2. Pages: 73 - 81. Fleets of robots for environmentally-safe pest control in agriculture. Precision Agriculture. Vol.18. Number. 4. Pages: 574 - 614. Influence of wind speed on RGB-D images in tree plantations. Últimos avances en tecnologías para la detección y el control de las malas hierbas. Tierras de Castilla y León: Agricultura. Vol.252. Pages: 14 - 20. A multi-robot sense-act approach to lead to a proper acting in environmental incidents. An approach to the use of depth cameras for weed volume estimation. Merge fuzzy visual servoing and GPS-based planning to obtain a proper navigation behavior for a small crop-inspection robot. Mix-opt: A new route operator for optimal coverage path planning for a fleet in an agricultural environment. Expert Systems with Applications. Vol.54. Pages: 364 - 378. Route planning for agricultural tasks: A general approach for fleets of autonomous vehicles in site-specific herbicide applications. Computers and Electronics in Agriculture. Vol.127. Pages: 204 - 220. Using depth cameras to extract structural parameters to assess the growth state and yield of cauliflower crops. Computers and Electronics in Agriculture. Vol.122. Pages: 67 - 73. Distributed multi-level supervision to effectively monitor the operations of a fleet of autonomous vehicles in agricultural tasks. Sensors. Vol.15. Number. 3. Pages: 5402 - 5428. ¿Es posible realizar tratamientos herbicidas mediante una flota de robots?. Tierras de Castilla y León: Agricultura. Vol.224. Pages: 58 - 63. Highlights and preliminary results for autonomous crop protection. Computers and Electronics in Agriculture. Vol.110. Pages: 150 - 161. A Novel Approach for Weed Type Classification Based on Shape Descriptors and a Fuzzy Decision-Making Method. Sensors. Vol.14. Number. 8. Pages: 15304 - 15324. Automatic expert system based on images for accuracy crop row detection in maize fields. Expert Systems with Applications. Vol.40. Pages: 656 - 664. Fleets of robots for precision agriculture: A simulation environment. Industrial Robot. Vol.40. Pages: 41 - 58. Herbicide savings and economic benefits of several strategies to control Sorghum halepense in maize crops. Crop Protection. Vol.50. Pages: 17 - 23. New unsupervised hybrid classifier based on the fuzzy integral: Applied to natural textured images. IET Computer Vision. Vol.7. Pages: 272 - 278. Optimización evolutiva de un método de discriminación visual entre mono y dicotiledóneas: resultados iniciales. Interempresas. Vol.1. Number. 1016. Pages: 114 - 122. Automatic detection of crop rows in maize fields with high weeds pressure. Expert Systems with Applications. Vol.39. Pages: 11889 - 11897. Consolidation of a wsn and minimax method to rapidly neutralise intruders in strategic installations. Sensors. Vol.12. Pages: 3281 - 3301. Crop row detection in maize fields inspired on the human visual perception. The Scientific World Journal. Vol.2012. Accuracy and feasibility of optoelectronic sensors for weed mapping in wide row crops. Sensors. Vol.11. Pages: 2304 - 2318. A computer vision approach for weeds identification through Support Vector Machines. Applied Soft Computing Journal. Vol.11. Pages: 908 - 915. An Air-Ground Wireless Sensor Network for Crop Monitoring. Sensors. Vol.11. Number. 6. Pages: 6088 - 6108. An image segmentation based on a genetic algorithm for determining soil coverage by crop residues. Sensors. Vol.11. Pages: 6480 - 6492. Automatic segmentation of relevant textures in agricultural images. Computers and Electronics in Agriculture. Vol.75. Pages: 75 - 83. Mapping wide row crops with video sequences acquired from a tractor moving at treatment speed. Sensors. Vol.11. Pages: 7095 - 7109. Real-time image processing for crop/weed discrimination in maize fields. Computers and Electronics in Agriculture. Vol.75. Pages: 337 - 346. Reliability of a visual recognition system for detection of Johnsongrass (Sorghum halepense) in corn. Weed Technology. Vol.25. Pages: 645 - 651. Spatial distribution patterns of Johnsongrass (Sorghum halepense) in corn fields in Spain. Weed Science. Vol.59. Pages: 82 - 89. A Hopfield Neural Network for combining classifiers applied to textured images. Neural Networks. Vol.23. Pages: 144 - 153. Analysis of natural images processing for the extraction of agricultural elements. Image and Vision Computing. Vol.28. Pages: 138 - 149. An assessment of the accuracy and consistency of human perception of weed cover. Weed Research. Vol.50. Pages: 638 - 647. Manejo localizado de malas hierbas en cultivo de maíz——-DUPLICADO. Tierras de Castilla y León: Agricultura. Vol.167. Pages: 60 - 69. Combining classifiers through fuzzy cognitive maps in natural images. IET Computer Vision. Vol.3. Pages: 112 - 123. Improving weed pressure assessment using digital images from an experience-based reasoning approach. Computers and Electronics in Agriculture. Vol.65. Pages: 176 - 185. El manejo de la avena loca mediante técnicas de agricultura de precisión. Vida Rural. Vol.233. Pages: 36 - 38. Modelling Wild-Oat Density In Terms Of Soil Factors: A Machine Learning Approach. Precision Agriculture. Vol.6. Number. 2. Pages: 213 - 228. CNN based visual processing for industrial inspection. Proceedings of SPIE - The International Society for Optical Engineering. Vol.3966. Pages: 315 - 322. Eggshell defects detection based on color processing. Proceedings of SPIE - The International Society for Optical Engineering. Vol.3966. Pages: 280 - 287. Localización de vehículos: Fusión de GPS y odometría. Mundo electronico. Edicion internacional. Vol.309. Pages: 46 - 54. Sistema de posicionamiento global (GPS): Descripción, análisis de errores, aplicaciones y futuro. Mundo electronico. Edicion internacional. Vol.306. Pages: 54 - 59. Second International Conference on Robotics and associated High-technologies and Equipment for Agriculture and forestry (RHEA-2014). Sistema de visión para agricultura de precisón: Identificación en tiempo real de líneas de cultivo y malas hierbas en campos de maíz. Segmentación automática de texturas en imágenes agrícolas. Planificación y supervisión de flotas de robots autónomos en tareas agrícolas. Diseño y desarrollo de un sistema de control y monitoreo para sistemas híbridos de pilas de combustible. Tesis Fin de Máster..
Navegación autónoma guiada por visión de un robot de inspección en campos de cultivo. Tesis Fin de máster. Generación de mapas de cultivo a partir de secuencias de vídeo adquiridas desde un tractor en movimiento con velocidad de tratamiento. Fin de Máster. Percepción y Actuación para el Tratamiento Selectivo de Malas Hierbas en Tiempo Real. Premio Extraordinario de Doctorado (concedido en 2011). Desarrollo de un sistema para toma de decisiones en situaciones de intrusión en instalaciones e infraestructuras. Tesis Fin de Máster. Clasificador de hojas mediante Deep Learning. Contribuciones al desarrollo de un sistema efectivo para la inspección de cultivos. Evaluación de la calidad de la reconstrucción 3D a partir de los datos de muestreo realizados con una cámara RGB-D de bajo coste embarcada en una plataforma móvil terrestre. Modelado y virtualización de un vehículo eléctrico autónomo de inspección de cultivos.